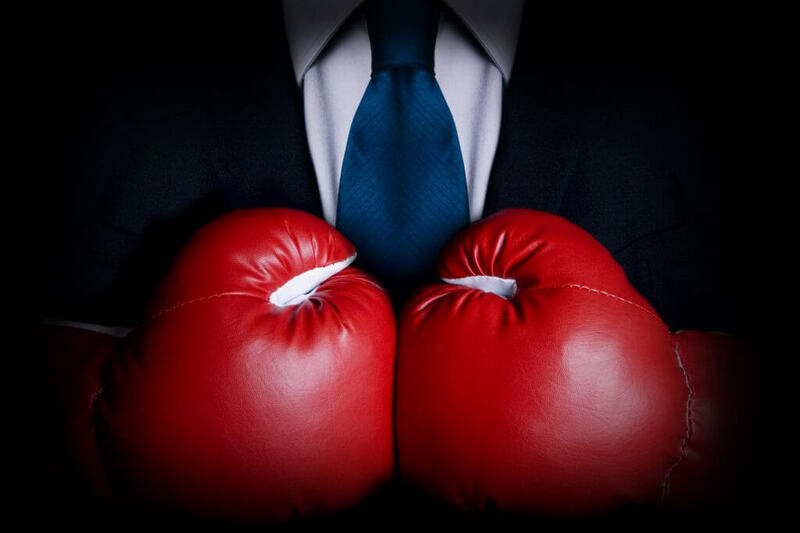 One of the toughest things for many people to get to grips with when they run their own business is that dealing with conflict is part of the job. Making difficult decisions is part of the job. Telling people things they don’t necessarily want to hear is part of the job. Firing people is also, sometimes, part of the job. You’re not in charge to have an easy life. That doesn’t mean it isn’t hugely rewarding, but nor is it easy. Conflicts in the workplace are very common. People don’t always get along, and when they are put in competitive, sometimes pressurised environments for several hours a day, tensions can emerge. If conflicts are not resolved quickly, then they can escalate equally quickly. Before you know it, something that initially seemed a minor comment, a throwaway remark or a trivial dispute can lead to accusations and counter-claims, long term absence, resignations and worst case scenario, claims of constructive dismissal or discrimination. As I write this, several articles in today’s newspapers (Monday 20th June) suggest that the number of tribunals has fallen by around 70% as a result of employees being charged to bring a tribunal case to deter vexatious or spurious claims. The introduction of the fees has certainly contributed to this reduction. But I also believe that companies understand far better now the need to resolve disputes in the workplace wherever possible, catching issues early before they ever get as far as a tribunal situation. This is something we at Peninsula have been spearheading since our inception more than 25 years ago. We’ve always believed that prevention is better than cure. Far better for employers to have regular, instantly accessible, sensible and commercial employment law advice on tap 24 hours a day to help with any problem, rather than leaving issues to fester until they find themselves at the Tribunal Office door with hefty fees to pay. We encourage our clients to call us as soon as anything arises that may be an employment law issue; anything that may cause a conflict in the workplace. No issue is too small and we have seen practically every possible scenario in our many years of practice. With our expert team on hand 24/7, we work with the employer to find solutions that are mutually acceptable, both commercially and legally, ensuring that small problems don’t escalate to become crises. We don’t believe that Peninsula should only be used as a 999 service, although we pull all the stops out for our clients if situations do get to that stage; but the ideal way to use our service is to treat us as a friendly, practical and hugely experienced GP, who’s available round the clock, every day of the year and who gives the best advice to help nip your problem in the bud. When it comes to those difficult decisions I referred to in the opening paragraph, you aren’t always alone as a business owner. You have our team at the end of the phone to advise and guide you on any employment law problem you may have. We can’t solve every business problem you may face, but at least when it comes to employment law, we can certainly ease your burden. If you’d like to know more about our service, or you know other companies that you feel would benefit from Peninsula’s expertise, then give our advice line a call on 0800 028 2420. And if you’re an existing client then never hesitate to ring us, whatever the problem – we far prefer to get involved early rather than waiting until it’s too late.